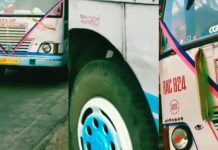 We should appreciate Antony for creating these wonderful images of Famous KSRTC Buses. Antony Varghese, native Ernakulam is a die hard fan of KSRTC buses. 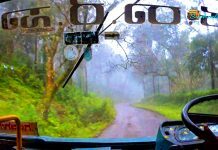 He always prefer his long journeys in KSRTC Buses and also interested in KSRTC Bus Photography. He is also a member and one of the admin of Aanavandi Blog, one of the largest bus fanning group in India. Basically Antony is a Web Designer and working in an IT firm at Infopark Kakkanad. He created some amazing KSRTC Bus images by using Graphics (Vector, Illustration). 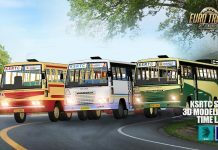 The creativity of these models are excellent.. We should appreciate Antony for creating these wonderful images of Famous KSRTC Buses. 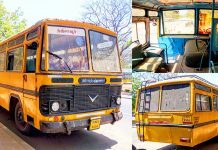 The history of Kerala State Road Transport Corporation began whilst the development of the transport industry it wasn’t booming enough like today. The Travancore State Transport Department (TSTD) was constituted by the erstwhile Travancore Government with a view to reorganize the transport service of the State.Mr E.G. Salter, Assistant, Operating Supdt of London Passenger Transport Board was appointed as Supdt on 20.9.1937. The State Motor Service was inaugurated by His Highness Sree Chithirathirunal on 20.2.1938. His Highness and his kin were the first passengers of the inaugration trip and Mr. Salter was himself the driver to that bus. This bus along with the 33 other buses brought on road driving through the Kawdiar Square was seen to be a beautiful attraction. 60 comet chassis fitted with Perkins diesel Engines were imported from England and the staff had built the body under the supervision of Mr. Salter himself. The selection of operating staff remains as a model which has been followed by the present staff as well. Those who were likely to lose their jobs in the private sectors due to the nationalization of Thiruvanathapuram-Kanyakumari route were given preference for appointment in the new department. Nearly a hundred Bachelor degree holders were given appoinments as Inspectors and Conductors. At the time of transfer there were only a countable number of bus schedules – 661 bus schedules and 36 lorry schedules. It possessed a fleet of 901 buses 51 lorries and 29 other vehicles. The new working of the corpoartion started with 30 new buses and 8 new lorries. 10 old buses and 7 old lorries and one tractor trailer were converted for other uses. 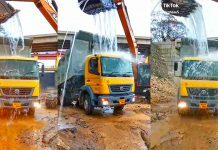 Plant and machinery owned by Kerala State Road Transport Corporation is extended throughout all its workshops in the whole of Kerala .